Fully furnished townhouse with beautiful water views from all levels just minutes from Fenwick and Ocean City beaches. 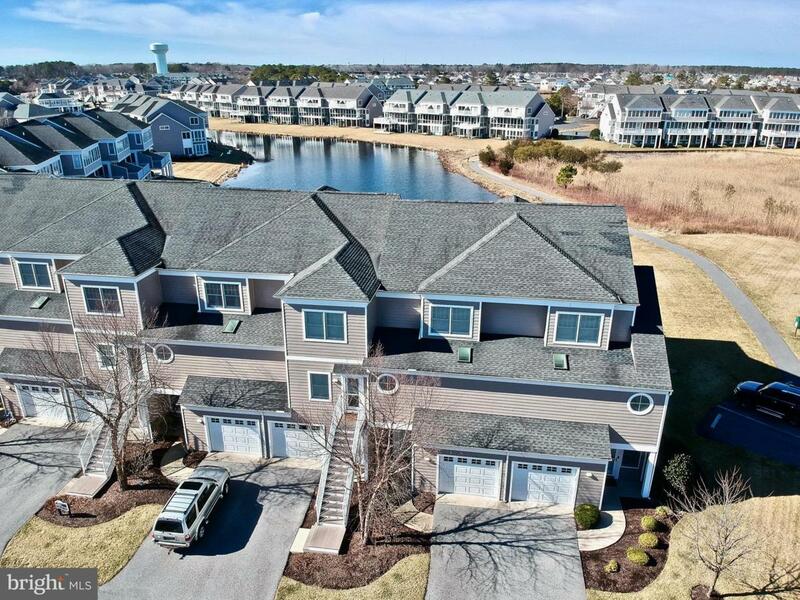 This well maintained unit is in the waterfront, amenity-heavy development of Bayville Shores. Both the master suite, and open living/kitchen floor have views of the large lake, as well as Dirickson Creek. It would be great for a rental property, or family home at the beach. The first floor entry flows to a bedroom complete with a full bath, and a sunroom which opens to the rear patio and lake. The second floor has an open plan with a living/sitting area with a fireplace and built-in speakers, dining area, and kitchen with stone countertops and GE Profile Appliances. It also has a powder room just off the stairs. The third floor has the expansive master suite, and a guest bedroom with its own full bath. Amenities include an outdoor pool, a beautiful jogging path along the waterways, a playground, basketball courts, boat ramp, volleyball courts, horseshoe pits, shuffleboard, and clubhouse with fitness center. Lawncare and snow removal are included, as well as 24 hour security.